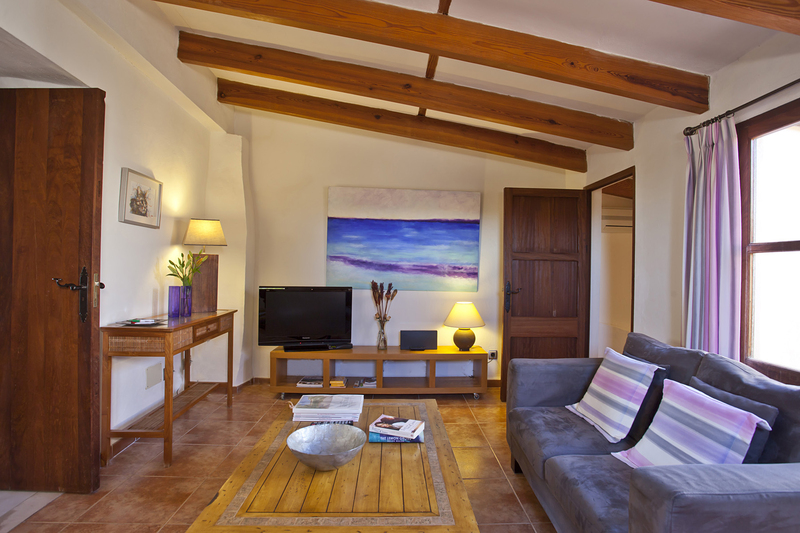 Finca Son Jorbo gives you more than most bed and breakfasts. 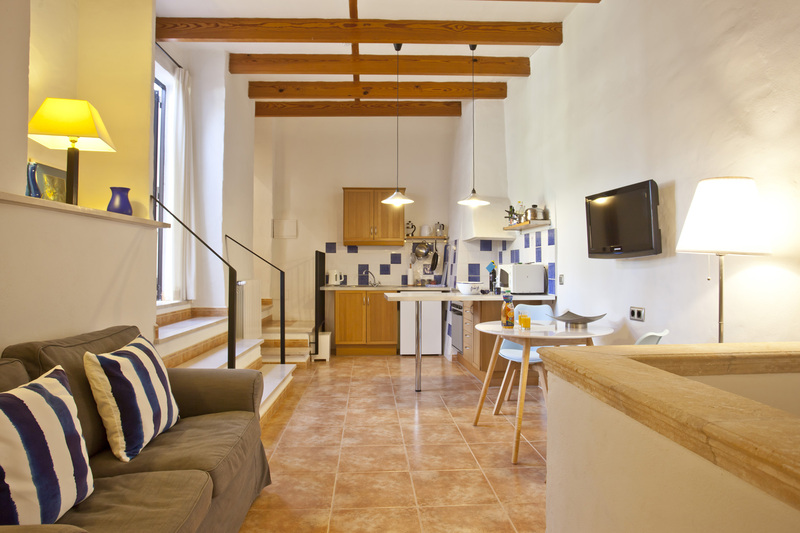 All the apartment suites have a separate bedroom, sitting room, shower room, kitchen and private terrace so there is plenty of room to spread out. 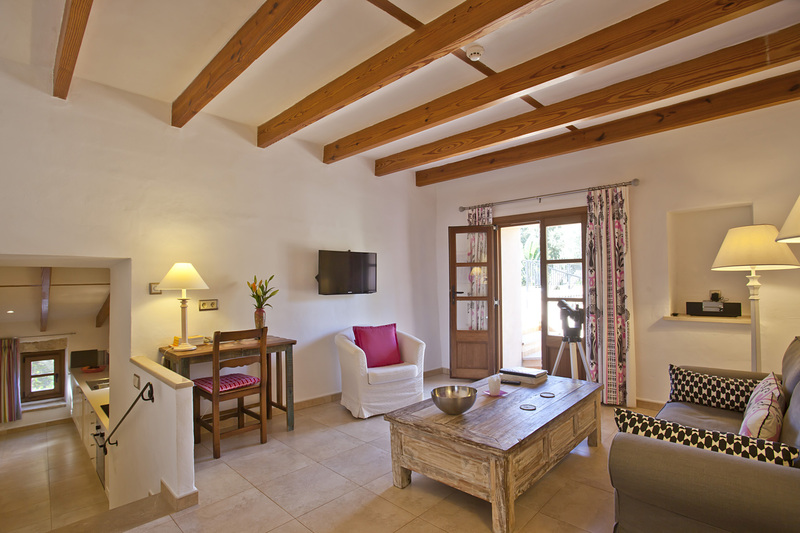 Each one is designed in a different style, blending the rustic charms of a traditional Mallorcan country house with the comforts of contemporary living. 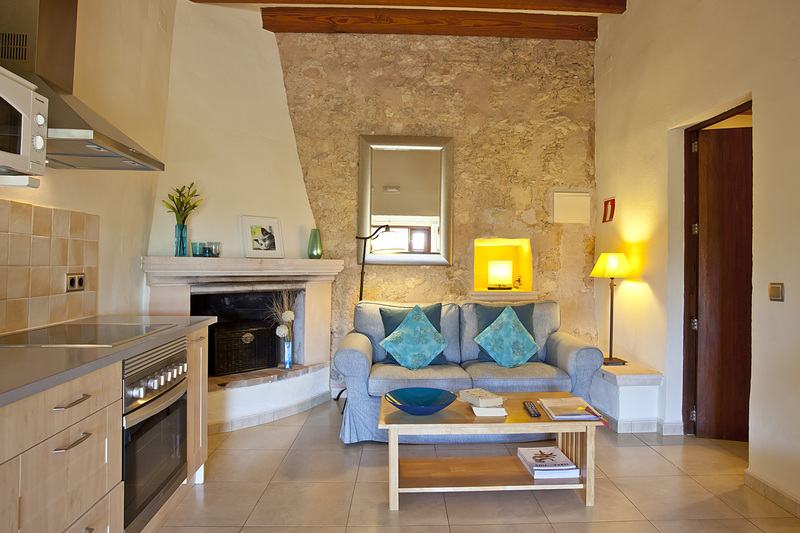 Each apartment is exclusively designed having original artworks and it’s own identity, charm and atmosphere. Your private terrace is an ideal place to relax with a glass of wine and enjoy the views of the countryside and the tranquillity letting you connect to nature. 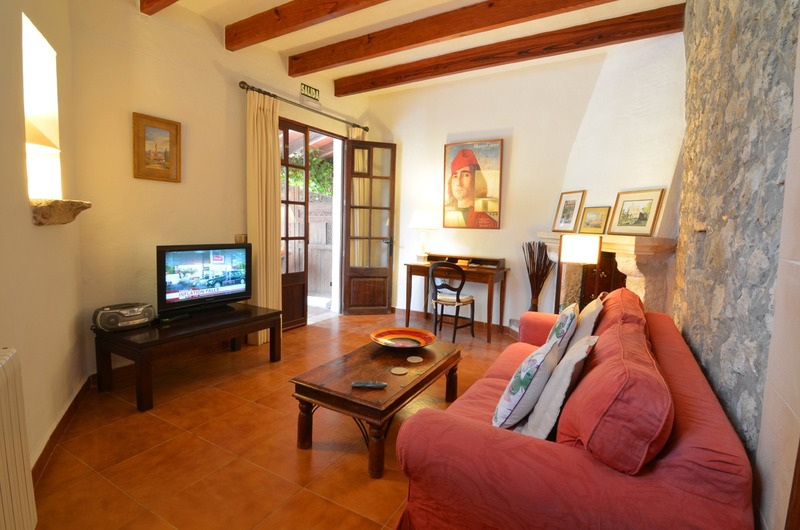 The sitting rooms have comfortable sofas and flat screen TVs with a range of international channels. All the bedrooms have air conditioning which ensures a comfortable night’s sleep even at the hottest times. We hope that you will awake feeling relaxed. We call this “The Son Jorbo effect”! For winter holidays, the central heating makes the apartment a cosy place to return to after a day out. The kitchens are fully equipped so you can rustle up a light lunch, prepare a full evening meal, make the occasional cup of tea or just use the fridge to keep the wine cool. And if you want to make a picnic to take to the beach, we even provide a coolbox. We can also provision your apartment for your arrival. In the shower room you will find luxury toiletries, fluffy towels, pool towels, waffle robes, slippers and a hairdryer. The apartments are cleaned daily. There is also a washing machine available for guests to use. Because Finca Son Jorbo is also our home, we are always on hand to give advice and local information and we will do everything we can to make sure your stay with us is as enjoyable and relaxing as possible. With space for just 10 guests, Finca Son Jorbo feels more like a private home than a hotel.